Once I realized that in my house there was not enough of another bed on which to accommodate a relative who had arrived to stay for a while or a late friend. Instead of buying new furniture, I decided to make it myself. 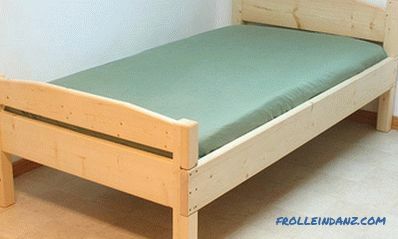 How to make a single bed with your own hands? This is not as difficult as you might think. I did the job in just one day. It should be borne in mind that due to a number of circumstances, I didn’t have many tools at my disposal — a table saw, a hand drill, a small electric plane and a belt grinder. The main (but not the only) material for the implementation of my project was 5x10 cm boards, and I gave preference to softwood. In addition, I needed three boards of 5x20 cm, one 5x15 cm, one 5x25 cm and, finally, two bars of 5x5 cm (the length of all sawn timber is 240 cm). A few words about the bed structure ... On the inner side of the side railing, 5x5 cm bars are fastened, and the slatted bottom supporting the mattress rests on them. 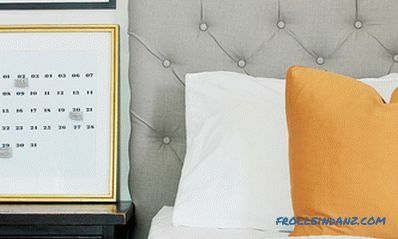 To better understand the above, take a look at the picture illustrating the cross-section of the bed. 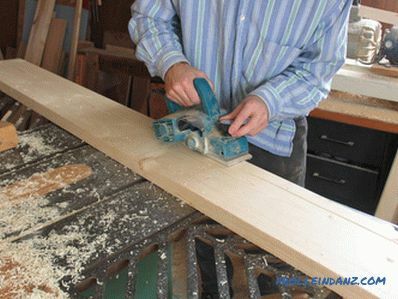 When building lumber is used for making furniture, they should be chosen carefully. But the frame of our bed, fortunately, is so heavy and durable that a slight deformation of the board is not terrible - this defect will be easily corrected during the assembly of the structure. Although the construction lumber is supplied planed, the quality of their pre-sale processing is not enough for furniture projects. 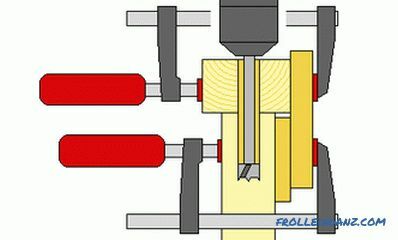 Since, as I already said, I temporarily lost part of my tools, including the planer and jointer, the electric planer turned out to be the most suitable for my needs. In one pass, he chooses a width of no more than 7-8 cm, so several parallel passes are required to process wider planks. 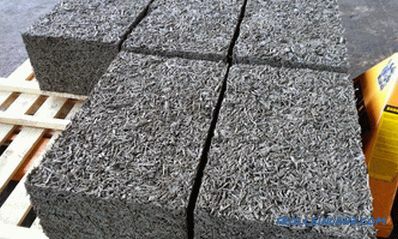 As a result, some of the boards remained small irregularities between the "tracks", which, however, I easily eliminated using a grinding machine. On all open edges I made a 6-mm chamfer, cutting off the angle of the boards at a 45-degree angle. The same electric planer helped me round the edges. I did the chamfers on the ends of the boards by hand, using the usual sharp knife. Now a few more words about the bed structure. It consists of two backs connected by side rails. The legs are made of two boards adjoining each other 5x15 cm with a notch for fastening the side panels. 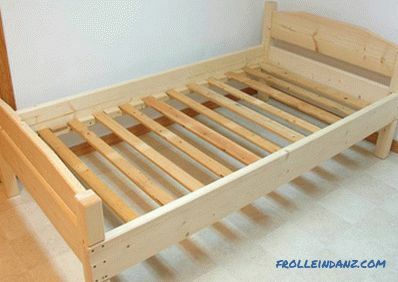 I hope that the photos accompanying the article and the drawings of the self-made single wooden bed will help you better understand what and how to do. Initially, I planned to give the backs smooth curves, but since at the time of the construction of the bed I was temporarily deprived of my band saw, I had to do only straight bevels. The horizontal elements of the backs are connected to the legs of 15 mm wooden furniture pins. In this case, only one (inner) of the two 5x15 cm boards forming the leg is involved. Before drilling holes for the pins, I securely fixed both fastened elements with the help of clamps and drilled both parts at once. This ensures that the holes are exactly opposite each other, any deviations are excluded. 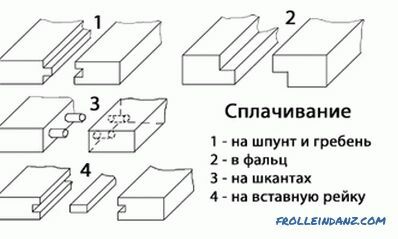 The diagram presented here shows how to connect the parts for drilling the pin holes. 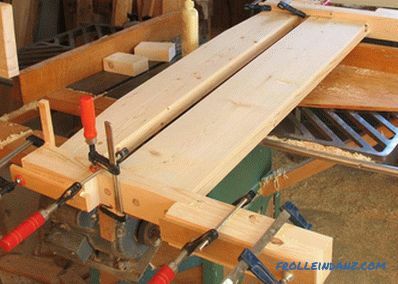 The widest board I used to make the backrest at the head of the bed was slightly curved, but when I clamped it with clamps to drill holes, it straightened. 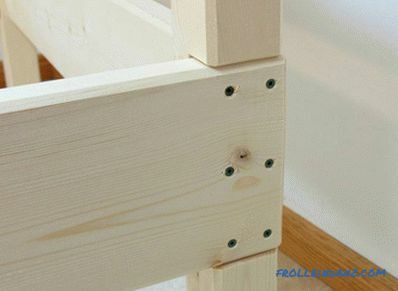 After the assembly has been assembled, the pins set on the glue continue to hold the deformed board in a straight state. After driving in the pins, I found that there was a small gap between the horizontal boards of the backrest and the legs of the bed. I didn’t have enough large clamps capable of covering the width of the bed, so I pressed two small bars to a horizontal board and already used these bars to pull the elements together. Both clamps in this case are tightened very tightly, so if you encounter a similar problem, I recommend that you only use metal clamps that are tightened with a screw. 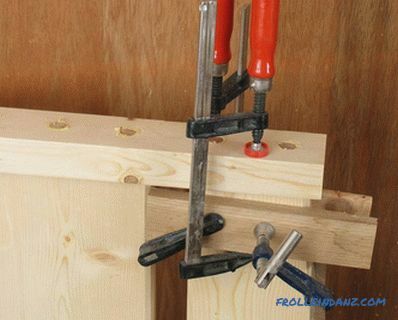 If this solution seems too difficult for you, you can make it easier to use 10 cm screws instead of pins. The design is not as reliable, but still quite strong, and most importantly, when tightening the screws, gaps are eliminated. 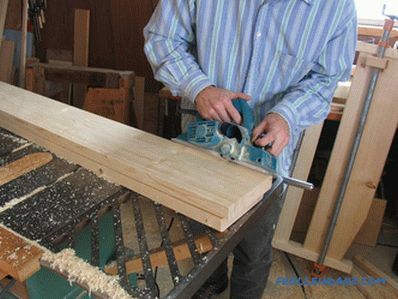 After connecting the back of the headboard with the inner halves of the legs, I ground the surfaces with an electric planer, and then put the second, outer parts of the legs on the glue. 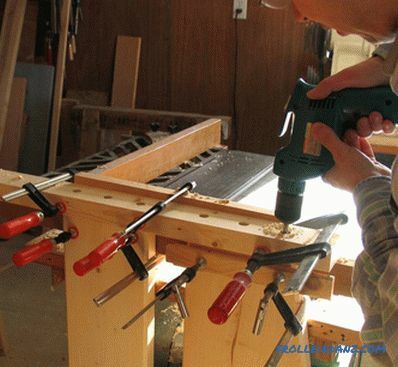 This stage of work is not as simple as it may seem at first, because applying a large amount of glue will cause the parts to be glued when clamped in the clamps to begin to "float", i.e. 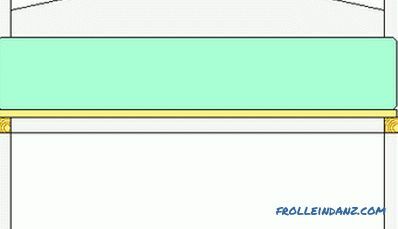 move relative to each other. One clip, as shown in the photo, is placed perpendicular to the rest, which allows for better fixing of the details. Despite all my efforts, there was still a shift of 1 mm in the final. However, such a minor marriage is easily reduced to nothing by grinding. At the same time, I smoothed the corners of the legs with an electric plane. On the inner side of them (near the back) I couldn’t use a power tool, I had to smooth the corners by hand, using an ordinary plane. For the manufacture of side bed fences, I used a 5x20 cm plank 240 cm long, which was cut to 200 cm long and 17. 5 cm wide. I attached a 5x5 cm block to the bottom inner edge of each plank with glue and screws, and glued small wooden blocks to it every 15 cm, which would prevent the bottom rails from moving. Finally, the finished side fences are fixed on the places designated for them in special cutouts of the legs. I used six 65 mm self-tapping screws on each end of the board. For these purposes, they are a bit short, but others were not at hand. I I am pleased that the single bed made with my own hands turned out to be so strong and reliable, and I spent so little time creating it.